A new TBP Exclusive product! 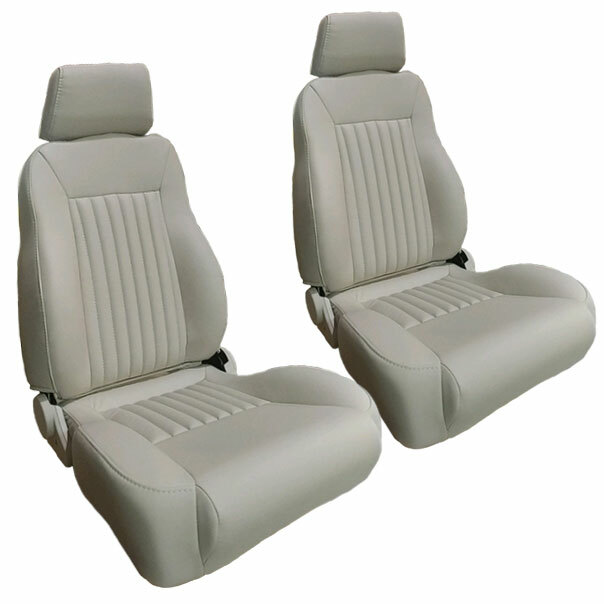 These TBP Premium Seat Sets are by far the best option for your early Bronco interior. Modeled after our deluxe front seats, we took these seats to a whole new level. The material we use on these seats is weatherproof, fire resistant & extremely durable. On top of that, it looks amazing and is very comfortable. These seats are currently available in black or parchment finish. The parchment material in these seats is made to directly replica the factory original color as close as possible! We didn't stop with just the outer material. We also upgraded the scrum (foam directly under the upholstery) to provide a more comfortable ride. 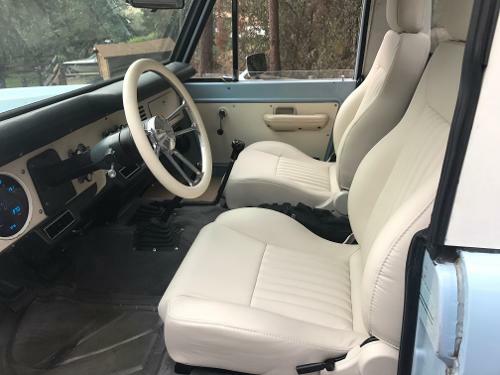 Finally, the new design of these seats is modeled after the factory Bronco seat to give it a classic American muscle styling while still fitting in with any modern updates you may give your classic Ford Bronco! This seat set listing includes driver and passenger seats with mounting brackets to mount them directly to your 66-77 Ford Bronco. Installation will require drilling holes for the passenger rear bracket as there were no mounts in that location from the factory. haven't finished the install yet, but these are awesome. Color matches my other parchment vinyl and are very comfy.